my heart is free, it trembles… flies. Our love for the town, our sense of beauty and true matters in life and our will to deliver all this to you inspired us to create the Dream of Happiness Guest House. 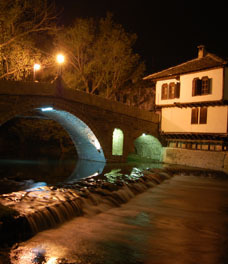 The house is comfortably located in the center of the town of Tryavna, at a short distance from all tourist sights. We offer 5 stylish double rooms en-suite, with an extra bed option in each of them. Beautiful oak furniture, 3D LED TVs, air conditioners, Wi-Fi and a large dining-room with kitchenette are just a small part of the charm of the house. We offer our guests the opportunity to arrange professional catering events, including soft and alcoholic drinks at your choice at wholesale prices. The guests of the house are able to use the outdoor barbecue.